Torn between two worlds and two different boys, Layla has no certainties, least of all survival, especially when an old bargain comes back to haunt them all. But sometimes, when secrets are everywhere and the truth seems unknowable, you have to listen to your heart, pick a side—and then fight like hell…"
So this review is going to be pretty short and vague because I don’t want to spoil anything about the book and there is a lot that can be spoiled. 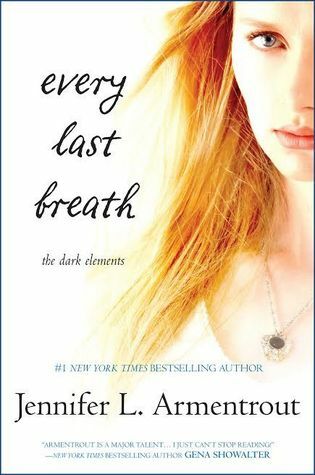 Every Last Breath was a great conclusion and I devoured it. I read the book straight through because I just couldn’t put it down. Layla has come such a long way since the first book and I truly love her character growth. She has really come into her own and become such an incredibly strong character. As for Roth and Zayne, well I really love them both so I always knew that this book was going to hurt me because one of them would get left behind. But Layla’s choice felt right and felt like the only way it could have gone. I was really glad that she made her choice so early on because I didn’t think we needed to drag out the drama anymore and I liked seeing the couple in action. And that’s all I’ll say on that. Of course the story was good and the plot kept me guessing. There were a few twists thrown in that I loved and some that hurt my soul. And the ending isn’t just laid out; the characters have to earn it. I love that things never come easy for JLA’s characters. Her characters have to work for it. Every Last Breath was a great conclusion and I really loved it. This is definitely one of my favorite series from JLA and I just really love the paranormal books and worlds she continually delivers. I just finished this one too. And for the same reason, I kept my thoughts brief. Don't want to give anything away. Sigh, as much as I loved the story and Layla, I knew I wasn't going to to love this as much as the others because of CHOICES, lol. I'm with Vi on this one. I don't even want to read it. LOL. But I will. Because it's JLA. I struggled with book. Just too hard on me - yes Vi because of CHOICES.